Kenroy Home Swing Arm Floor Lamp Just $47.34! Down From $149.50! PLUS FREE Shipping! You are here: Home / Great Deals / Amazon Deals / Kenroy Home Swing Arm Floor Lamp Just $47.34! Down From $149.50! PLUS FREE Shipping! Get this very awesome deal at Amazon! 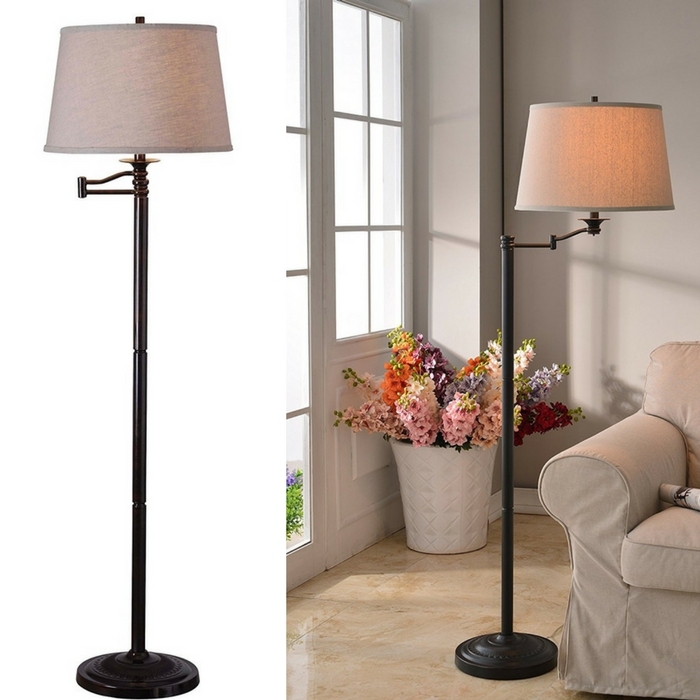 Kenroy Home Swing Arm Floor Lamp is now on sale for just $47.34 down from $149.50 with FREE shipping! Riverside’s traditional reeded candlestick base is brought up to date by an oatmeal tapered drum shade and the unique warm tones in its copper bronze finish. 16-inch diameter oatmeal tapered drum shade tops this lamp. Uses one 150-watt three-way bulb with a three-way socket switch.